I found myself asking that question a week ago Friday evening, after the fact. Maybe it was better that I didn’t know that he was sitting there, drumming up a storm, cutting off our rhythm to exclaim “Wellness!” and smiling and having fun. 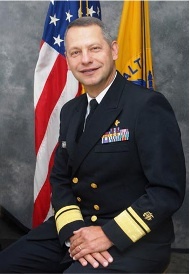 Let’s do a quick refresher on who the Surgeon General is: Boris Lushniak is the current leading spokesperson on matters of public health in the federal government of the United States, appointed by the president. And after participating in those meetings at the resort (of which the drum circle was a small but memorable part), he now knows the power of music in healthcare. But I didn’t know that it was HE sitting there, until my buddy Mike told me an hour after it happened. Ha – And boy am I glad I didn’t realize it was he. Because if the Surgeon General isn’t enough to knock off your boots, imagine facilitating a drum circle with Ben Folds sitting there, too. I’ve realized that there are two sides of me in situations like these: Professional Kat and Fan Girl Kat. She grinned, kicked her legs up behind her, and said “There is a time and place for the Fan Girl, and sometimes she wants to come out and say ‘I saw you looking at me at your last concert!’ or ‘Can you autograph my drum?’ And the Fan Girl plays over and over in my mind. I see her making cartwheels and hear her squealing, and then, at the same time, I put all my energy into the work in the moment.” Draza went on for a while describing the experience of her work in Malibu with the stars. I had no idea that she was coaching me for what was to come the next weekend. I’ve taken an entire week just to process my experience before sharing it here, because. it. blew. my. mind. And what are the chances that less than a WEEK after Ben Folds shared my guitar pick on twitter, he would be standing there at the resort…. The spirits moved me to give him another guitar pick, *just* in case he had lost that other one. #GuitarPickMarketingWorks, no joke. I had the pleasure of sitting through part of the roundtable discussion, and hearing Meagan Morrow’s story of working with Gabby Giffords. What perfect timing that she happened to be sharing her story with these 45 brilliant minds, when Robert Redford walked in. He goes by “Bob.” When he picked up the mic to say hello, he insisted that Meagan had much more interesting things to say than himself. He was very impressed with our group, and he had things to take care of. He couldn’t stay for the drum circle. BUT that’s ok. We had a blast, even without Bob. Our first circle played in the Drum Bus itself. It was a blast. Then the second circle happened outside. Big thank to Meagan Morrow for sharing these pix with me! Below is a shot of Maegan, Ben, and Alicia. Coming back home from an experience like that, feeling the abundance of support thrown at the arts, I’ve been flying around Cloud 9 for a few days. I’m usually flying around there anyway, but this was just a little more jet fuel to propel my spirits into the atmosphere. I know that I’m positive in an extreme and rare kind of way. I base my future and vision on past successes, because otherwise I’d never take risks. And sometimes I base my future and expectations on absolutely nothing from the past but a leap of faith, knowing that I may fall down very hard. And I have fallen down very hard before. There have been some really interesting discussions about music, arts, healthcare, and job opportunities lately. A lot of people feel hopeless, and a lot of people have given up on the idea of living your dream job. I’m not claiming to have answers. But there are some things I know, for sure. In every economic crisis, in every long-term hardship, in every doom & gloom era of history, there have been people who have thrived. Not just survived and barely made it through… THRIVED, prospered, flourished, succeeded. Not just rich, healthy people either. Even people who start with nothing. What sets those people apart from the rest? Lord knows, I have opinions on this. But maybe what’s more important than the opinions, ideas, and answer is just remembering to ask the question. Thanks for reading, and I hope that you can feel the excitement, hope, exhilaration, and pure bliss that have been running through my veins this past week. So much awesome! I needed to read this on multiple levels. Thanks, Kat! and HOLY COW!! Congrats, Kat! That is amazing! I don’t even know what to write here. This is amazing beyond words. Our collective vision needs to be so much bigger. Thank you for holding this positivity, exhilaration, hope, and bliss for so many who are struggling. Amen sister. You could not have said that better, so I am reiterating: “Our collective vision needs to be so much bigger.” right? right ? right?!?!?! Totally agree. yes yes yes. YOU are an inspiration in a not so perfect economy! Thank you for being our Music Therapy spokesperson extraordinaire! That’s awesome! Sounds like a great day. I love hearing about the things you do. Thanks Sarah! It was NUTS. Thanks for floating on Cloud 9 with me here for a while. Great post- thanks for sharing about your experience and I’m so glad to have people like you representing our field so well! Yeah, Kat! What an amazing group of influencers you have touched. Thank you for being our ambassador. Thanks mom! I know you’re always rooting me on, and I’m very thankful for that! You are amazing and this post brings so much inspiration and enlightenment to me and thousands of music therapists out there! I’m so excited and thrilled for your incredible way of being and success in the world. Keep on living your dream because it inspires the rest of us to do the same. What an amazing experience! I’m proud that you and Megan were there to represent MT in this way. Thanks for all you do. Kat, thanks for sharing your story. It is so important tht we realize to always be excited about what we do. Each day can bring a new discovery and new challenge when sharing musical inspiration with others. And what you felt when the “biggies” joined your circle is usually felt by that new person sitting in the circle for the first time. “You” are always awesome in their minds especially with your enthusiasm! A-MA-ZING! Your zest and love for our profession shows no bounds! Thank you so much for all that you do for us and our community!! Kat! Awesome! I am thrilled to have witnessed that convo with Draza. Who would have known!?!? But of course….anything can happen. I’m a believer! Wild! Yes BEV! You were THERE! How cool is that. I’m just taking notes on this experience to expect the unexpected with an open heart, open mind, and curiosity out the ying yang! Our collective wisdom in our group is just unmatched —- love you woman! Hey Kat – OK the only one My inner Fan Girl wants to meet more than Robert Redford is Bono — so once again I bow to your amazing awesomeness! I can’t imagine holding it together enough to actually do my job in the near vicinity of Bob, Ben or the US Surgeon General. Once again you rocked our world! Thanks! Debi – You are cracking me up. Do you know what a good writer you are? And omg if Bono sat in on my drum circle I would melt right into the floor!!! What an amazing event to be part of. Thank you for sharing! You continue to inspire me – all while rocking music therapy into some important minds! Congrats and thanks for sharing!! That is SOOOO cool! I am definitley on cloud 9 with you!!! You are so inspirational Kat! Keep rockin it! Lovely, enjoyed reading that and what a great experience ! I hope it’s catching on – all over the world ! Woohoo, girl!!!! Hahaha I am just GLOWING with happiness right now. You are so inspiring. Thank you for taking the time to process this and then share it with the world. You are such a magnetic force! You attract the best. This is super cool. I love that you included some great links in this post. It just read,”The Day My Business Died,” guest post on Kimberly S. Moore’s blog, which was a helpful read, as I am in the process of placing a higher value on myself and what I can offer as a music therapist. You are constantly reaching new heights with your amazing trail blazing path as a music therapy business owner and entrepreneur. You are setting a positive trend! Awesome blog, really one of the best ive read in a while. I’m also a drummer and have recently started a youtube channel. Would be great if you could check it out and let me know your thoughts:). Ive got a few solos and drum covers on there. Wow! Congrats and Thank you for sharing such an inspiring story. You never know how your path will unfold. Your journey is filled with beautiful stories. Keep sharing your inspiration. We look forward to it! So here it is a month later. How is it up there on cloud 9?